Hi everyone.. I'm over on the MarkerPop blog today with this fun Sparkly Mardi Gras card.. 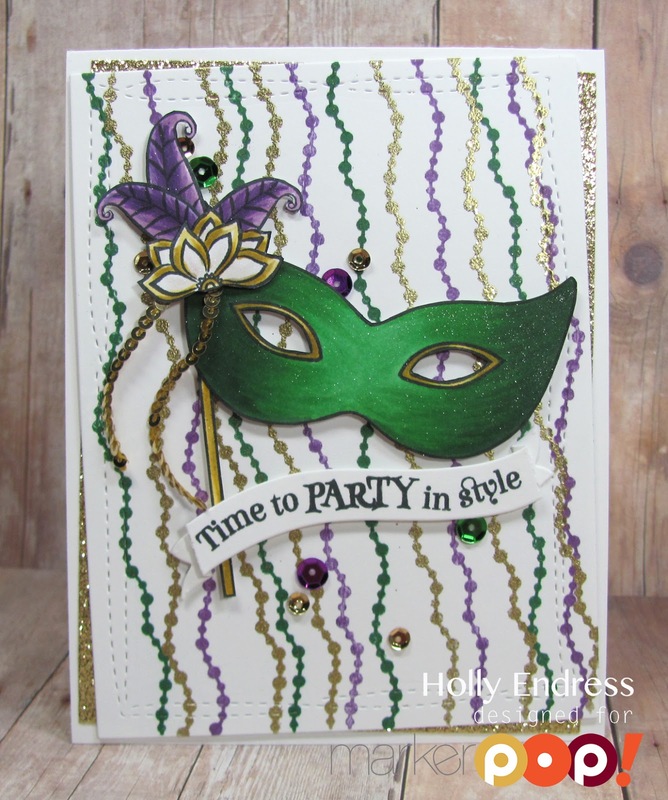 Using the new set from Avery Elle "Mardi Gras". Head over for all the details on how I created it. WOW that's a really Awesome looking Mardi Gras card!!!!! Love the heat embossing on here too!! !